Even as they split on the vote, board members broadly agreed they, and district staff, needed to look at how school construction funds were being allocated in the McKay High School area, and do more to address racial inequities in the district without bussing Latino students across the city. 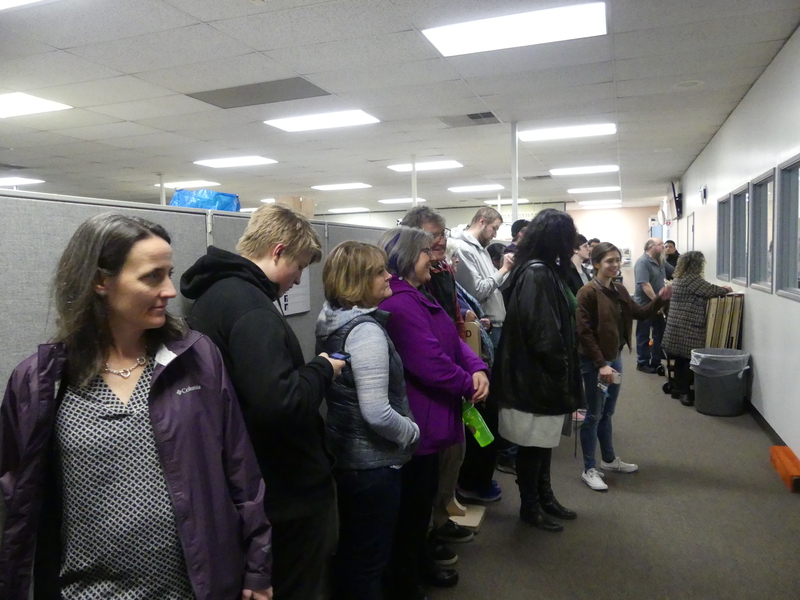 After more than two hours of public testimony from dozens of parents, teachers and students, a divided Salem-Keizer school board approved a controversial boundary change plan Tuesday night on an 5-2 vote. Even as they split on the vote, board members broadly agreed that they, and district staff, needed to take a second look at how school construction funds were being allocated in the McKay High School area, and do more to address racial inequities in the district without bussing Latino students across the city over objections from their parents. Educators and families spoke forcefully, and sometimes through tears, urging the board to consider everything from racial segregation in Salem, the desires of Latino parents to have their children attend neighborhood schools, reducing overcrowding and better supporting teachers at McKay. Board members Kathy Goss, Paul Kyllo, Jim Green, Marty Heyen and Chuck Lee voted to approve the plan, while Sheronne Blasi and Jesse Lippold voted no. The plan is meant to reduce overcrowding at schools in northeast Salem, chiefly McKay High School, which would otherwise have nearly 2,800 students by 2022 according to district projections. With changes, that would shrink to about 2,200 students, leaving the school at 98 percent capacity after planned school construction. Marty Heyen, who represents the McKay area on the board, said she was voting for the plan to "provide immediate relief for McKay in the fall. But you have my word that we will look at and discuss these options to try and make McKay a better place to go to school," she said. After the boundary changes, South Salem and McNary high schools would be slightly over capacity by 2022, while North would be at about 96 percent. Sprague and West high schools would be at 88 and 83 percent capacity, respectively. Many people opposed to the boundary changes cited those projections to argue the plan to redistribute students wasn’t equitable because it would leave the district’s four central high schools close to capacity while pushing few changes on the two more affluent and less diverse high schools on the edges of the district. Blasi said those projections led to her no vote. She represents the South Salem area and said she was concerned about the changes leaving the school over capacity. “I don’t think it quite does what we intended and what we promised the voters,” she said. McKay teachers urged the board, and district staff, to ensure the $620 million in school construction planned over the next five years is fairly distributed. The high school is slated to receive about $50 million in improvements. “If we’re not ready to integrate, let’s turn our equity lens to the next task,” said Larkin Foley, a McKay teacher. As other teachers from McKay cheered her on, Foley cried as she addressed the impact overcrowding has had on her school. “We can’t run out of chairs in our cafeteria, we can’t run out of seats in our classrooms … and simultaneously try to convince our students that it matters when they are absent,” she said. Several also said they were hurt by comments made during the boundary review process that families in the Sprague High School area didn’t want low-income students and students of color coming into their school. McKay sophomore Leanette Mabinton said her classmates have had Sprague students refer to them as “too ghetto” at sporting events. Students at McKay were largely unaware of the boundary process until a Statesman Journal article published last week, she said, and want to see more support for them and their teachers. "It feels like a lot of decisions are being made without even letting the students have their voices heard," she said. Board members said they were grateful for community members willing to speak honestly about their experiences, hopes and fears in the district. “There isn’t an adult in the room, whether it’s the staff over there or your board, that hasn’t learned a lot,” board chair Kathy Goss said following the comments. Before voting yes, Jim Green, who represents the Sprague High School area, said the district and city have failed to grapple with demographic changes over the past decade that have shifted the student body from roughly 65 percent white to less than 50 percent. He urged district staff to work with Sprague to host community workshops about diversity. “I’m a graduate of Sprague High School and when I hear things that Sprague doesn’t support ‘those kids,’ that’s not what we’re about at Sprague. And that’s not what we’re about in this school district,” he said.